You are looking southeast from the southwest corner of Lake Calhoun. 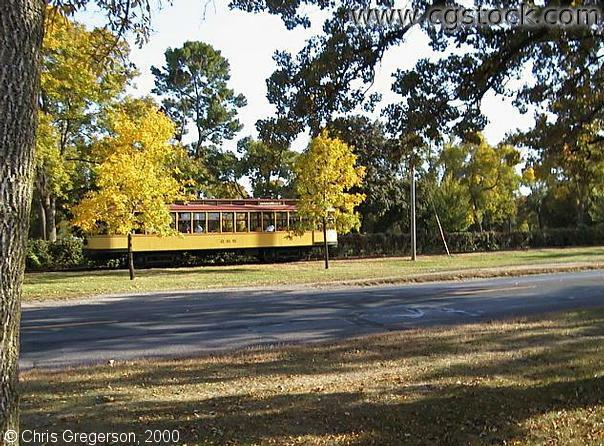 On the left is the Como-Harriet Streetcar, heading towards Lake Harriet. This restored car is operated by the Minnesota Transportation Museum.